The festive season is well and truly upon us – Christmas entertaining and dinner parties are in full swing, sparkling Christmas lights illuminate the city and hordes of eager shoppers have started assailing Oxford Street for the next bargain. One of my favourite things about Christmas is the lead up to it. It’s always nice to take a break from shopping and retreat to the kitchen to make some fun festive treats. After all, what’s a better gift for your loved ones than the gift of food? 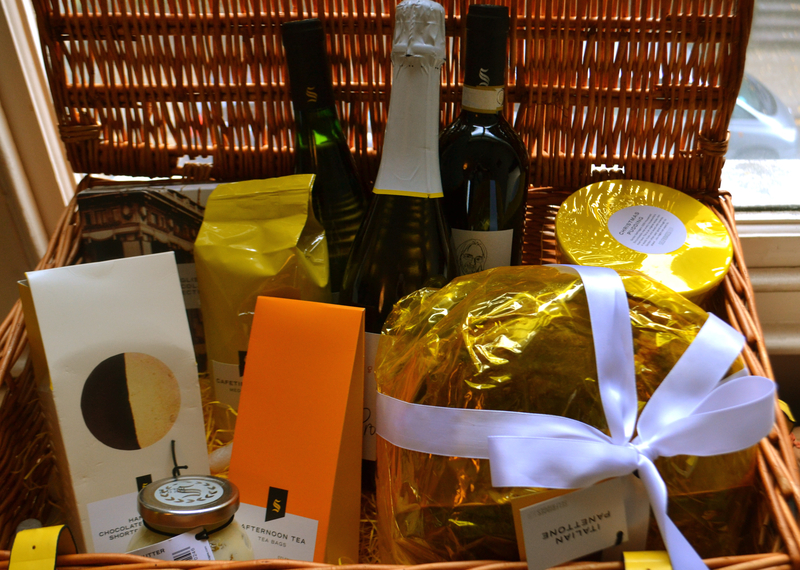 The lovely people at Selfridges sent me a delicious hamper recently for a food blogger competition. The task being to use some of the ingredients to create a Christmas recipe which will be judged by the head chef of one of Selfridges restaurants.The Sparkle and Celebrate hamper is a dream for foodies like me. From their bestselling Italian prosecco to their mouth-watering Christmas treats like brandy butter, Christmas pudding and decadent English fudge, the hamper makes the perfect base for that special dinner party. It must be the hidden Italian in me because my favourite treat in the hamper was a 1kg slab of panettone, a tall golden loaf of goodness. I couldn’t wait to get into the kitchen and bake with it. Traditionally eaten around Christmas, the brioche type treat is a staple for many households. 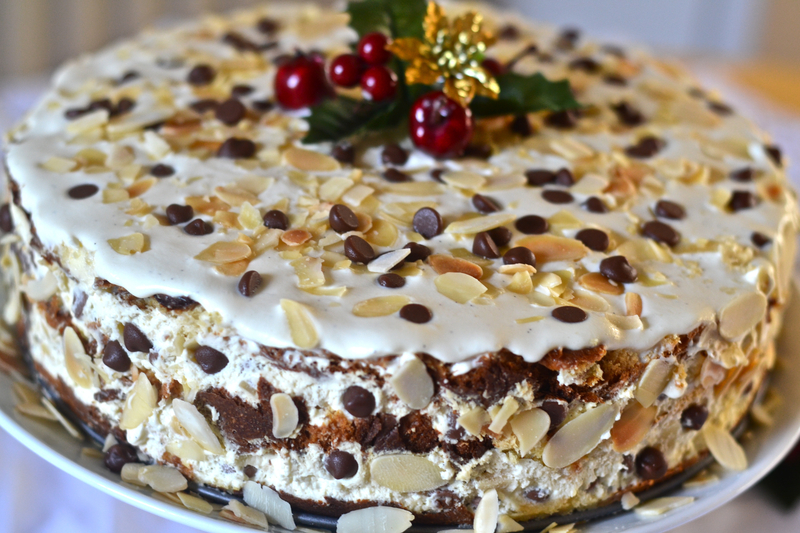 Panettone is so versatile so the possibilities are endless. It is lovely toasted with a generous slathering of butter, used in place of bread in bread and butter pudding or the perfect way to use up leftover panettone in a sumptuous trifle or tiramisu. 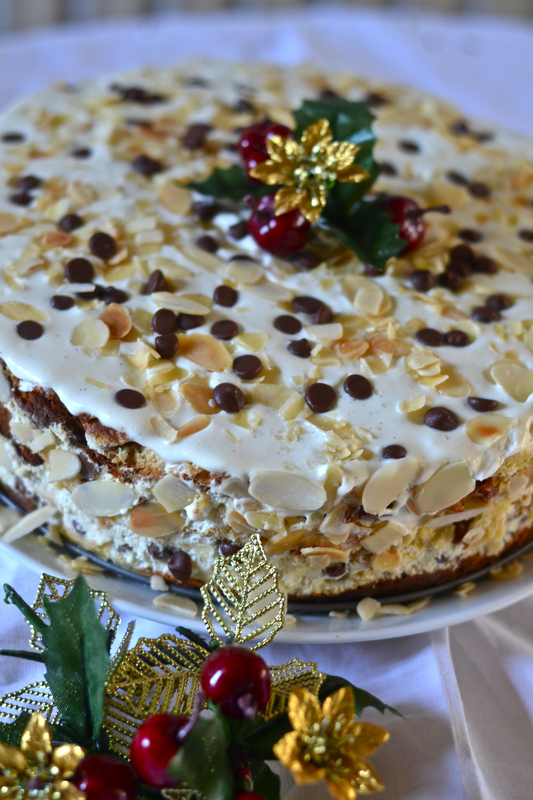 I decided to do something a bit more creative and invent a simple no bake recipe called the Layered Panettone Christmas Cake (a cross between bread and butter pudding and tiramisu) which is a perfect recipe for a dinner party at Christmas. If you like creamy, slightly boozy layer cakes then this one is for you! 1. 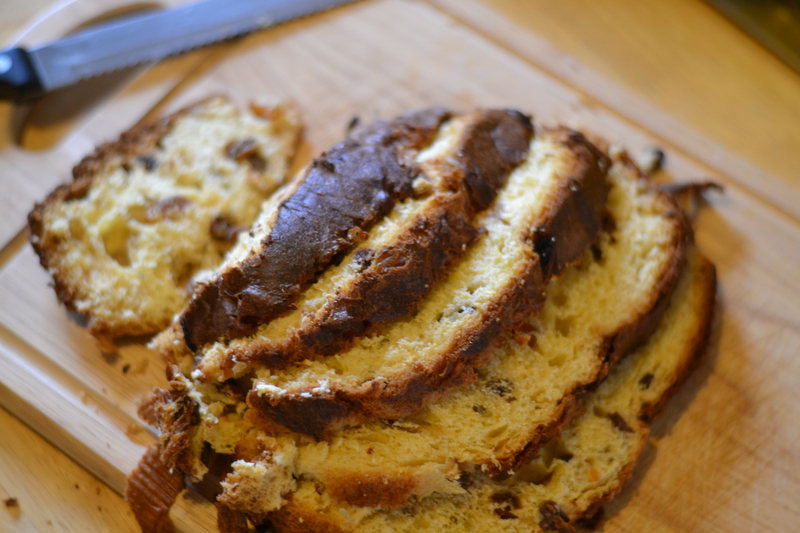 Cut the panettone into 1cm slices. Using approximately one-third of the slices, line the bottom of a 23cm springform cake tin with the panettone and ensure there are no gaps. Spread an even layer of brandy butter on top of the panettone then drizzle 1 – 2 tablespoons of marsala over the first layer to dampen it. 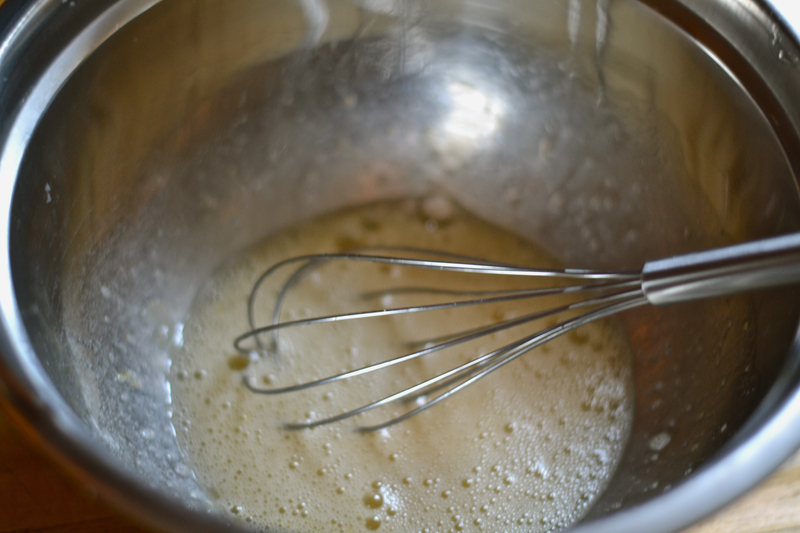 2.Whisk the eggs and caster sugar together until light and fluffy. 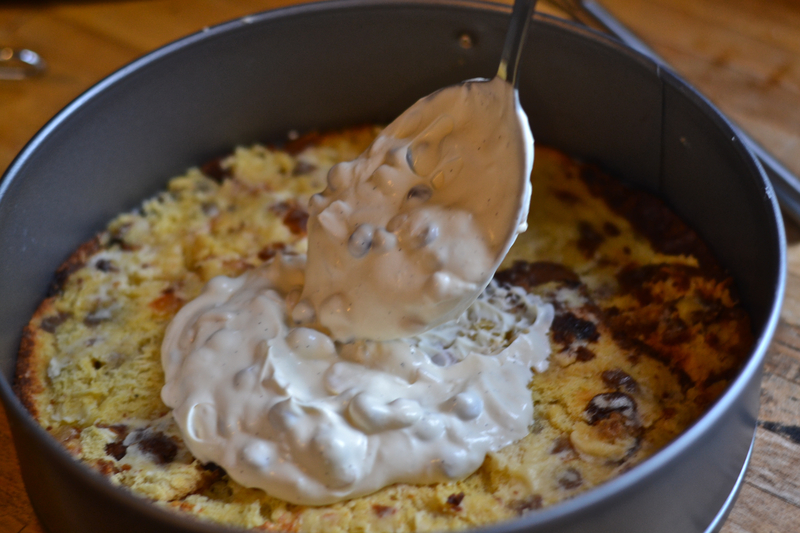 Then gently fold in the mascapone, double cream and mix lightly. Gradually add 100grams of the marsala and vanilla seeds and whisk until the mixture is smooth and thick. 3. 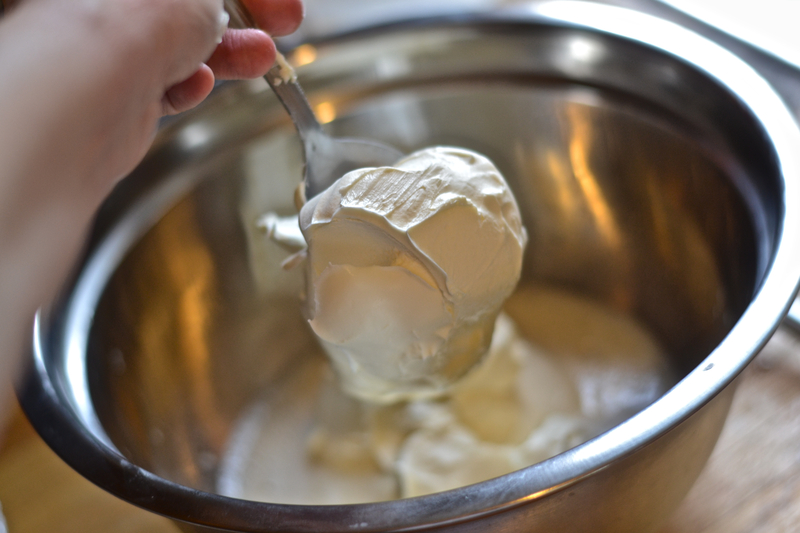 Put aside a third of the cream mixture in a separate bowl and refrigerate. This will be used as the topping the next day. 4. 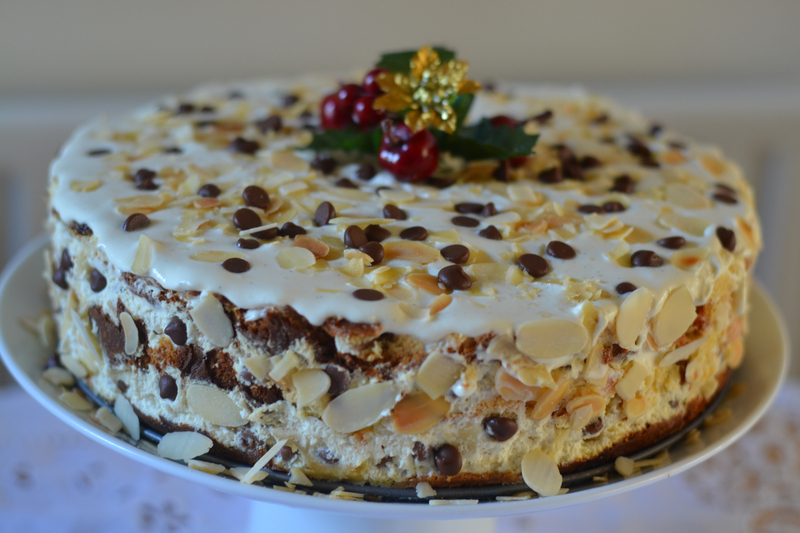 Fold 70 grams of the flaked almonds and 100 grams of the chocolate chips into the cream mixture and spoon this on top of the first panettone layer in the cake tin. Smooth with a spatula. 5. 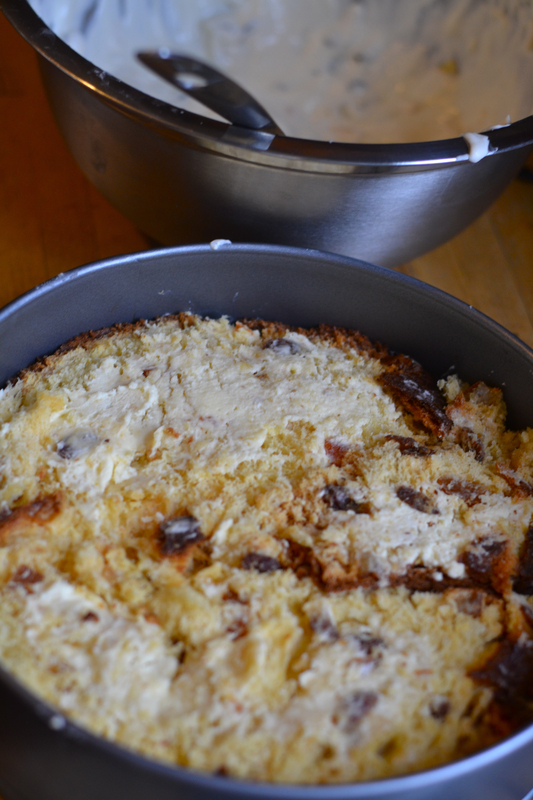 Create another panettone layer on top of the cream filling by using another third of the panettone slices. Ensure there are no gaps. Repeat step one by spreading a layer of brandy butter on the panettone then drizzle over another 1 – 2 tablespoons of marsala. 6. 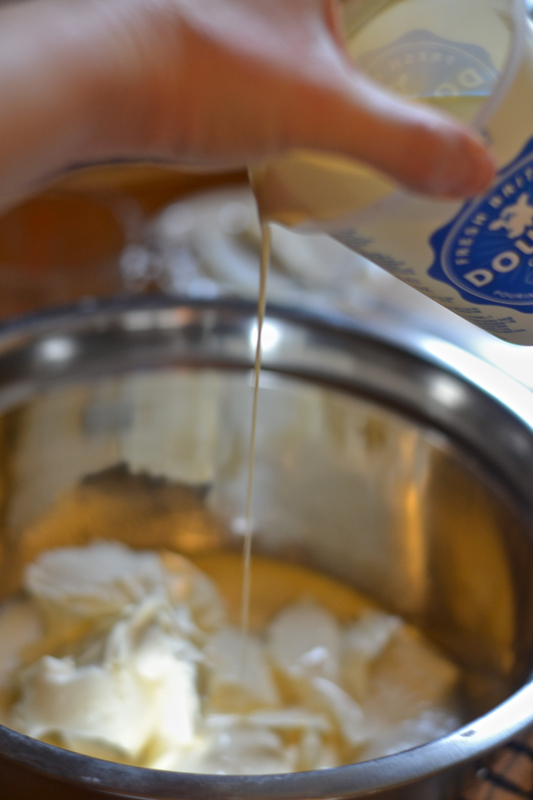 Spoon on the remainder of the cream mixture and use a spatula to even the layer. 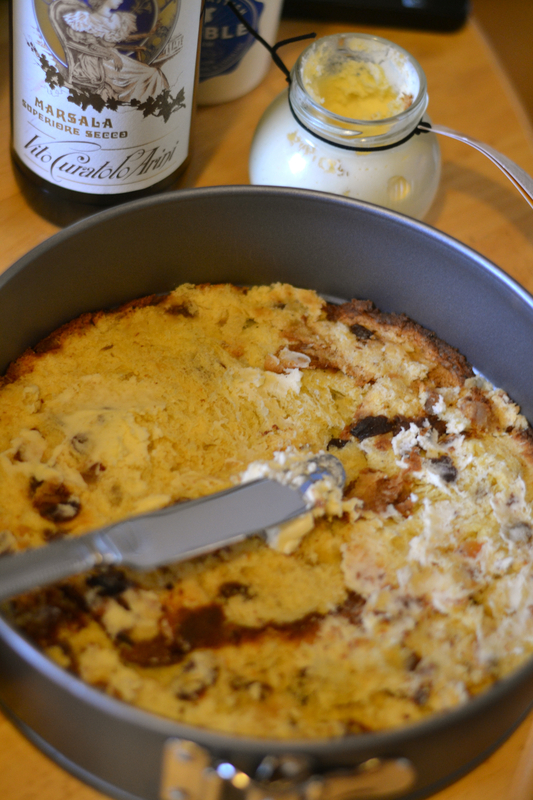 Top with a final layer of panettone and spread another layer of brandy butter and another 1 – 2 tablespoons of marsala. 7. Cover with clingfilm and let the cake rest in the fridge overnight. 8. 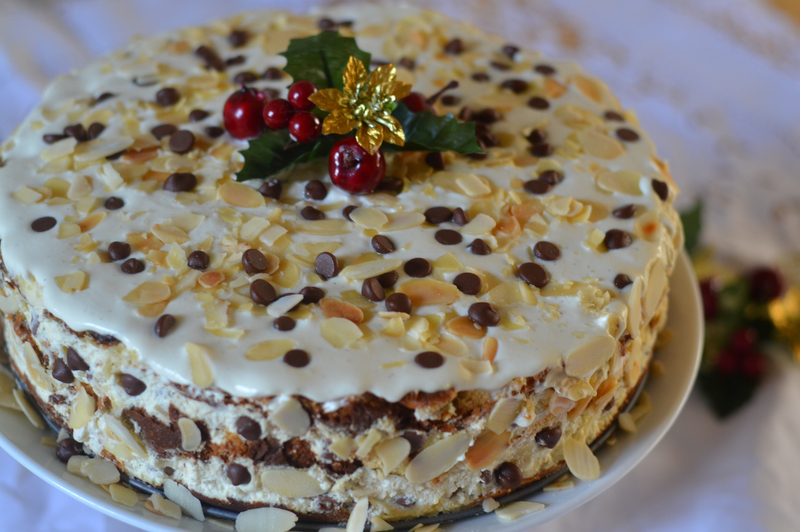 When serving , remove the cake from the fridge, unmould from the springform and spread the remaining cream mixture on top of the cake. 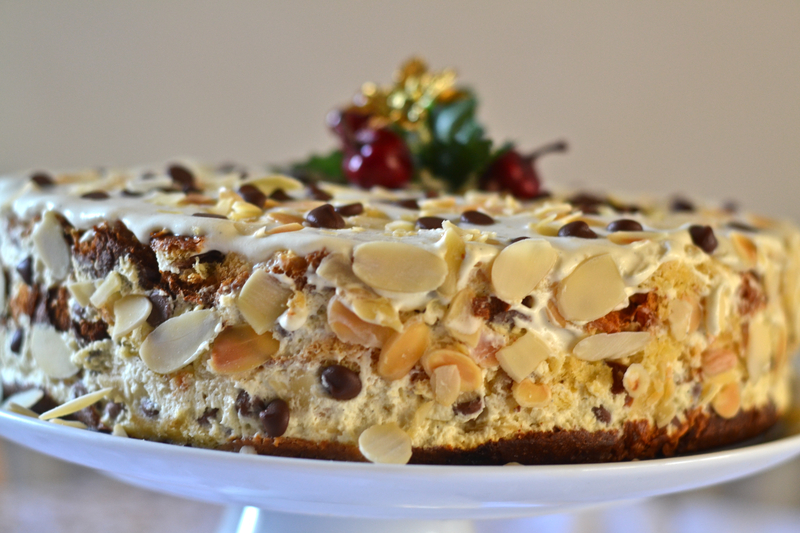 Sprinkle with the remaining flaked almonds and chocolate pieces. And voila the finished product! With a bit of holly for added festive cheer. To treat that special person with a hamper this Christmas, check out Selfridges extensive range of luxury hampers and gift sets or Selfridges exclusive own label products. oh wow, that looks amazing!! 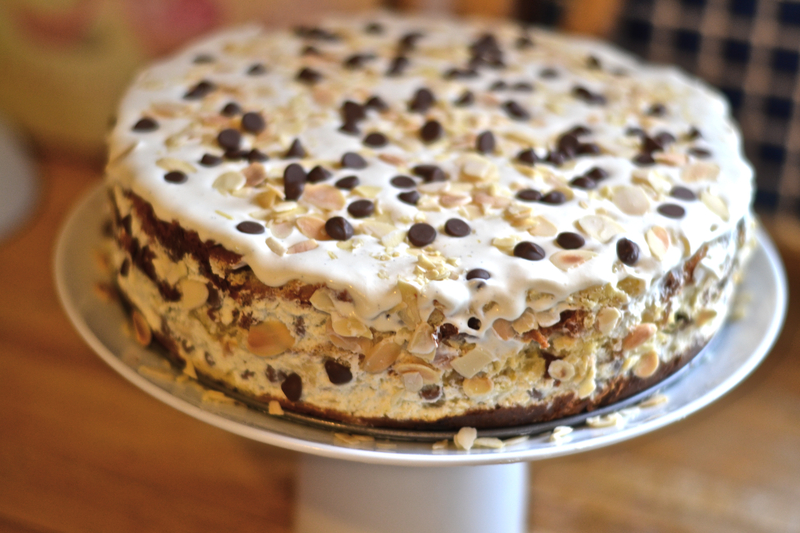 I cannot wait to try a slice of that! I’ve had the Panettone toasted for breakfast the past 2 days & it’s so good. Omg – this looks totally delicious!! 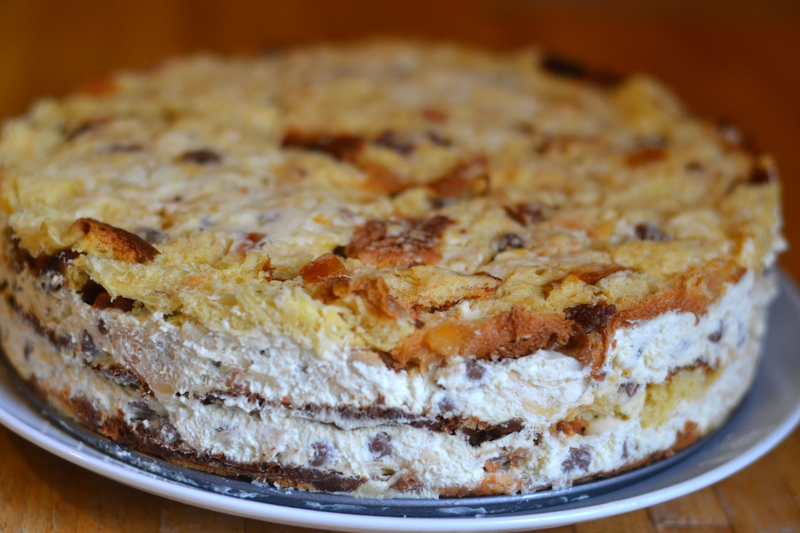 Bread and butter pudding and tiramisu – what’s not to love?! 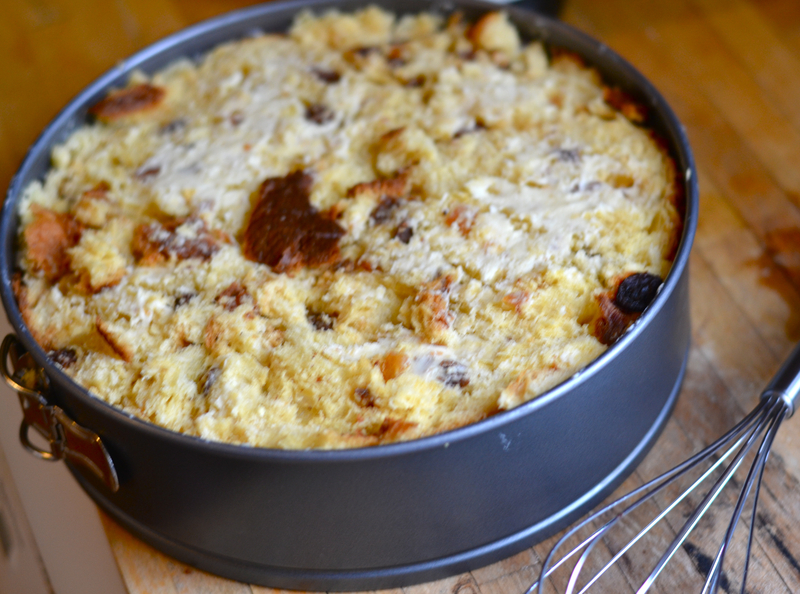 I wonder if I can still find some pannetone somewhere to try this out and looks relatively simple to prepare – genius!